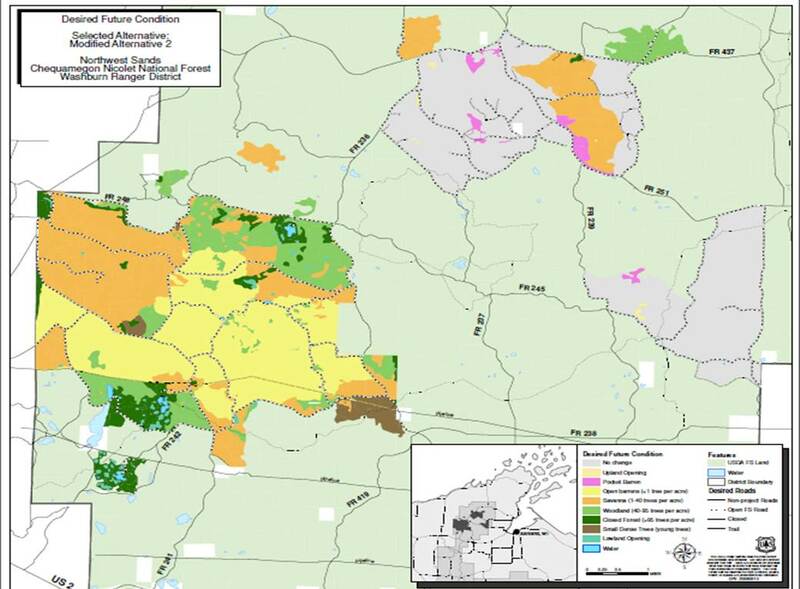 OVERVIEW: The Northwest Sands Project (Moquah Barrens) located in northwest Wisconsin on the Washburn Ranger District of the Chequamegon-Nicolet National Forest is a long-term effort to restore 22,900 acres of rare pine barrens plant community. 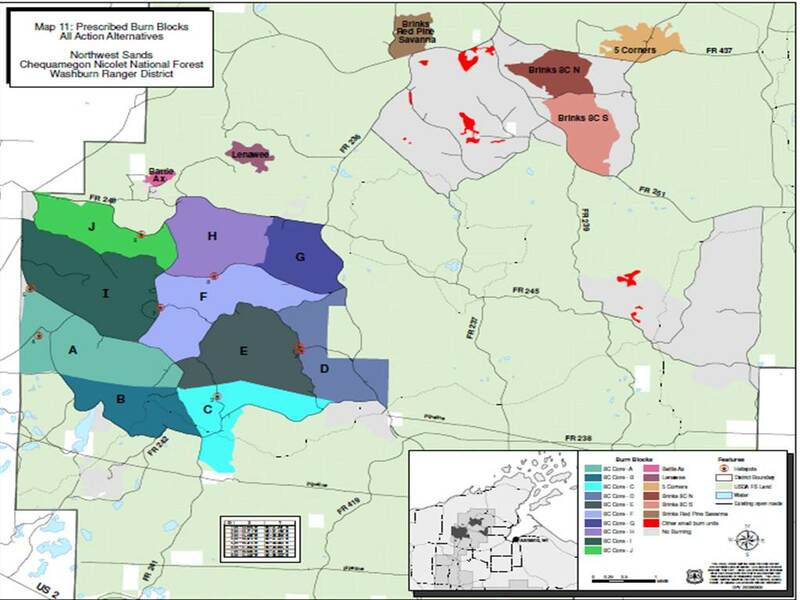 The NW Sands project area is one of the largest pine barrens management areas in Wisconsin. 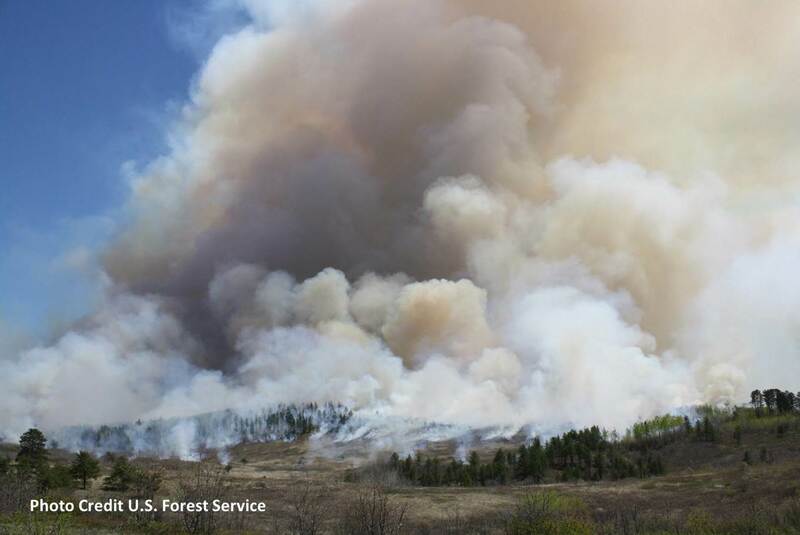 Initiated in 2009, this restoration project has utilized a variety of prescribed burning, timber harvests, invasive species removal, native seed planting, and monitoring to accomplish restoration goals. Scroll down for more information about the project. AGENDA: Join USDA Forest Service staff for a Field Tour including multiple stops to observe and discuss short- and long-term restoration goals of this fire-dependent system, and implementation of fire in the context of forest ecology, wildlife (such as sharp-tailed grouse and upland sandpiper), pine barrens vegetation, invasive plant species, monitoring, and current research. COST and REGISTRATION: This Field Tour is Free – but we would appreciate a head count to coordinate enough handouts for all, and carpooling options. PLEASE RSVP with Jack McGowan-Stinski by email. WHAT TO BRING: Your own lunch and water, bug repellent, sunscreen, stories to share. Field Trip is rain or shine, dress for the weather! 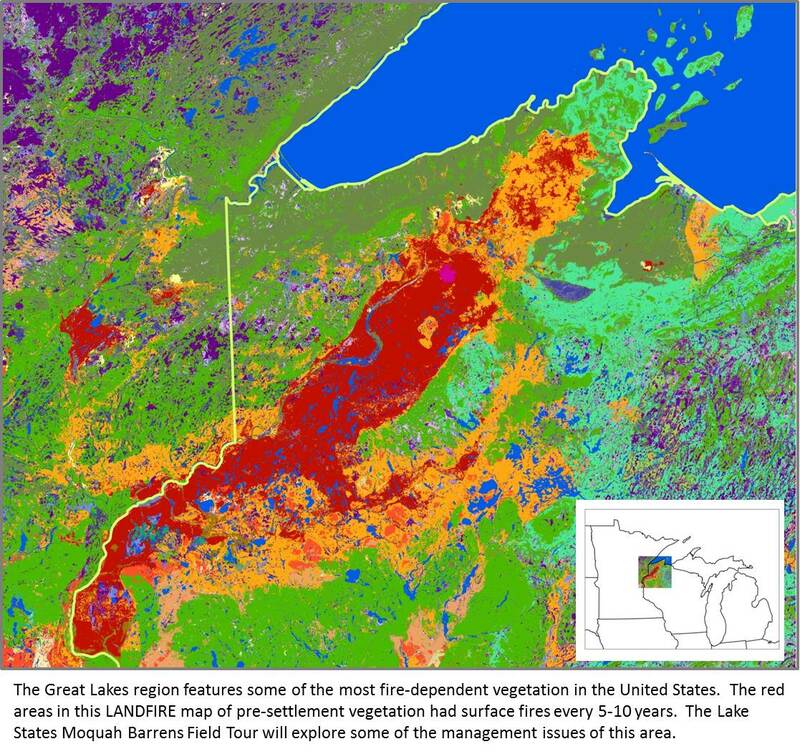 The Northwest Sands Project located in northwest Wisconsin USA on the Washburn Ranger District of the Chequamegon-Nicolet National Forest is a long-term effort to restore 22,900 acres of rare pine barrens plant community. 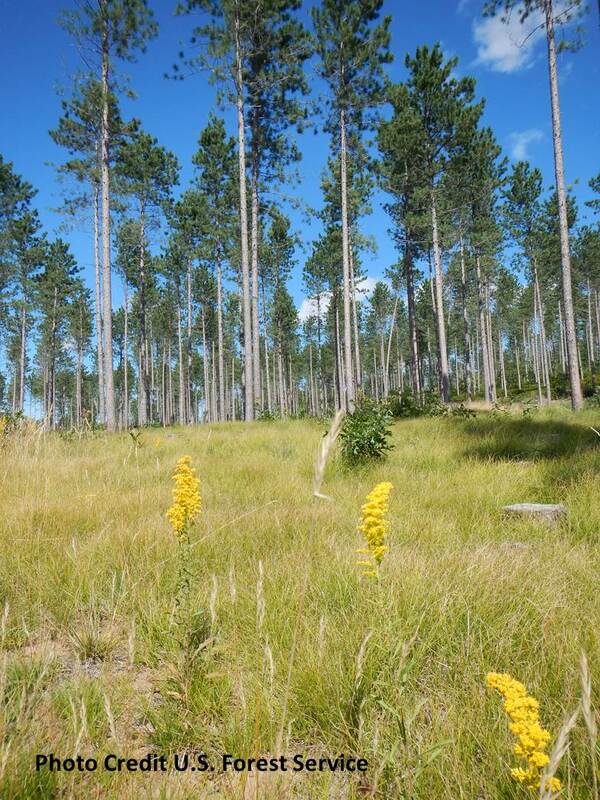 The NW Sands project area is one of the largest pine barrens management areas in Wisconsin. Initiated in 2009, this restoration project has utilized a variety of funding sources, prescribed burning, timber harvests, invasive species removal, native seed planting, and monitoring to accomplish restoration goals. 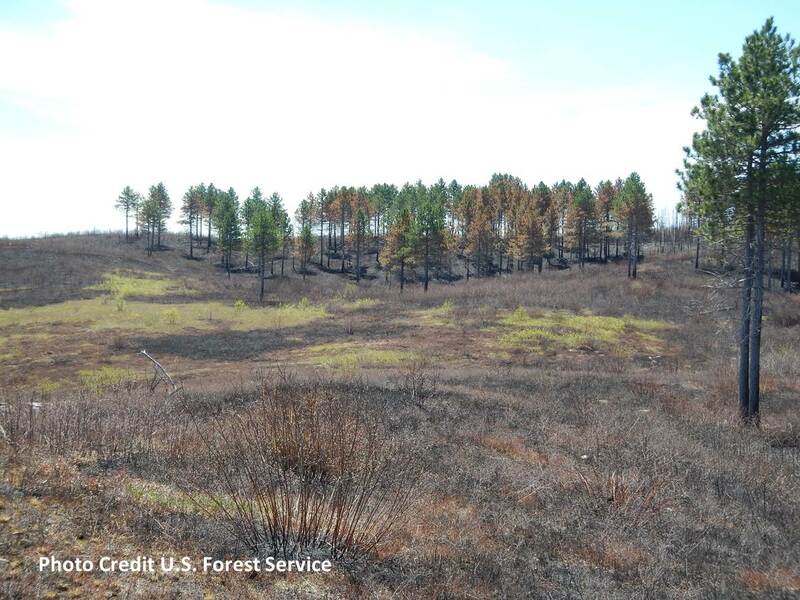 The pine barrens of northwestern Wisconsin are plant communities that are dominated by grasses, shrubs, and scattered pine trees (Pinus strobus, Pinus resinosa, and Pinus banksiana) and occur on poor-quality sandy soils with rolling topography where fire is generally the dominant form of natural disturbance. Restoration efforts include re-creation of the vegetation structure and species composition, the creation of habitat conditions needed for wildlife, and to the extent possible, the re-establishment of natural disturbance processes, such as fire and windthrow, which are essential components of a properly functioning pine barrens plant community. 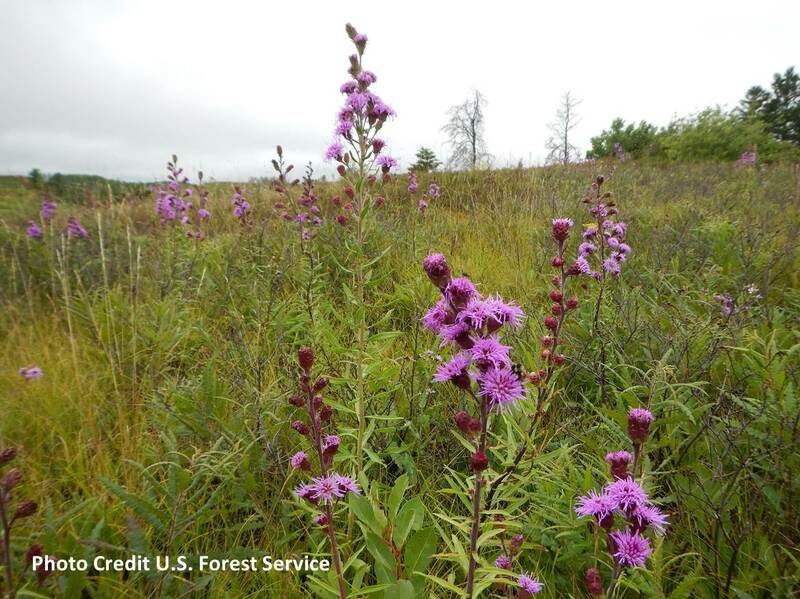 The rarity of the pine barrens plant community on the present day landscape and direction from the Chequamegon-Nicolet National Forest Plan drives this restoration need. Pine barrens are considered globally imperiled (G2), and imperiled (S2) in Wisconsin by the Natural Heritage Inventory. At the time of European settlement there were approximately 2.3 million acres of pine barrens in Wisconsin (Curtis 1959). Today only 1% of that total remains (Eckstein and Moss 1995). 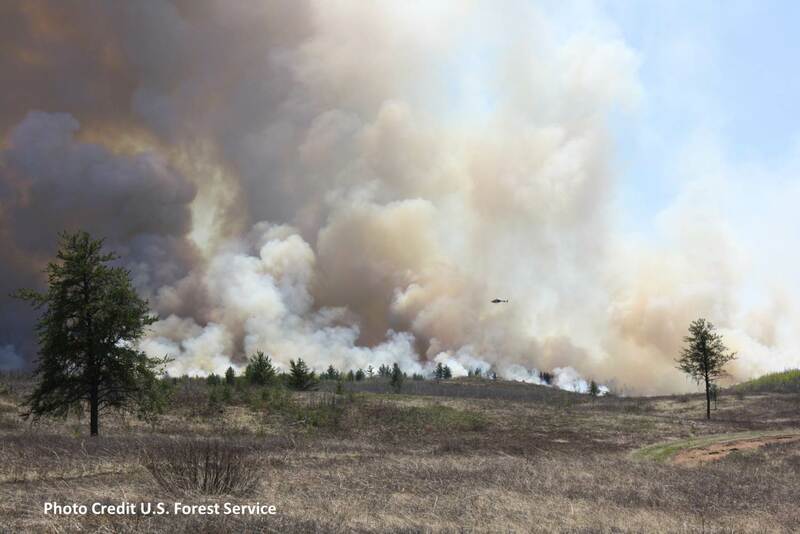 Restoration efforts over the past six years have consisted of commercial timber harvests and brush cutting to re-create the vegetation structure as well as prescribed fire, native seed planting, and non-native invasive plant control to restore the fire regime and species composition of the pine barrens plant community. In order to monitor restoration efforts to determine when ecological targets are met, vegetation monitoring plots have been established in the project area based on the Fire Effects Monitoring and Inventory Protocol (FIREMON). 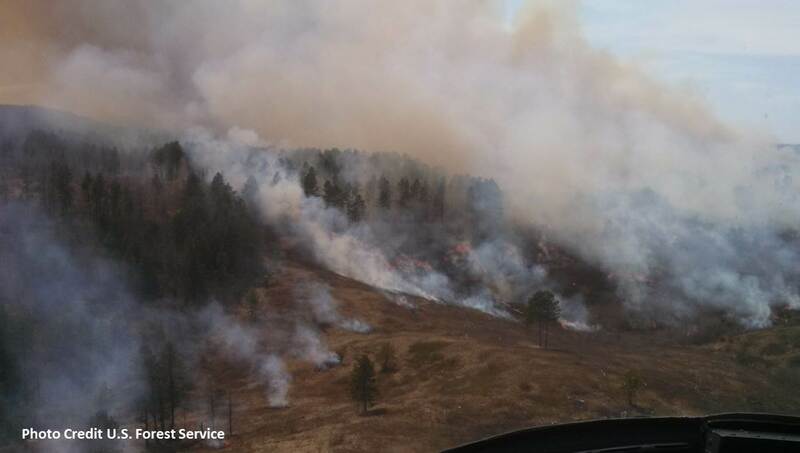 This monitoring effort has shown understory species composition changes with an increase in prescribed fire and has created brush cover trigger points to help fire management personnel determine when to apply prescribed fire to an area. 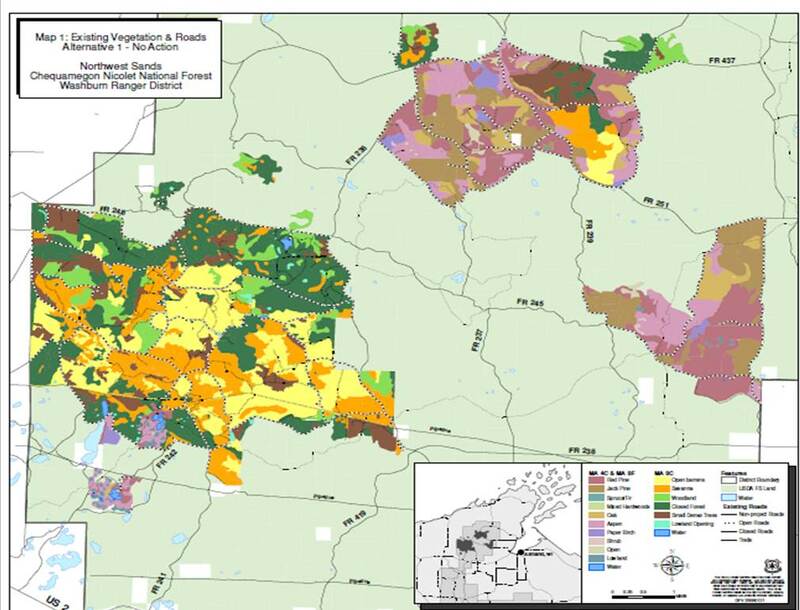 In addition to FIREMON, a Fire Regime Condition Class (FRCC) spatial analysis was developed for the Northwest Sands project as a tool to quantitatively measure multiple aspects (understory and overstory species composition, shrub cover, fire regime, and tree structure) of the pine barrens plant community for comparison between several project alternatives. The results of the FRCC analysis were used to determine which project alternative came closest to reaching the Desired Future Condition (DFC) of the project area. Recently, the Northwest Sands FRCC analysis has been used to quantitatively measure restoration efforts that have been implemented since project initiation.